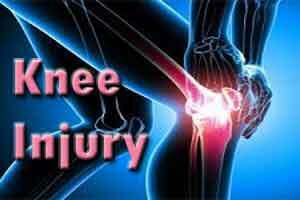 Knee pain is common among Americans age 40 and up. Nearly 1 in 17 people visit doctors’ offices each year for knee pain or injuries from osteoarthritis a progressive “wear and tear” disease of the joints. Those odds increase as the U.S. population continues to age and becomes even more overweight. While a magnetic resonance imaging (MRI) is one tool that can help doctors diagnose torn knee ligaments and cartilage and other problems, plain X-rays are the best first line screening tools for knee pain. According to a study in the September issue of the Journal of American Academy of Orthopaedic Surgeons (JAAOS), a simple X-ray is frequently the best diagnostic tool, reducing both time and cost. Whether a patient will need surgery for knee problems depends on how much arthritis he or she has. “If an X-ray shows that a person has significant arthritis, the MRI findings like a meniscus tear are less important because the amount of arthritis often dictates the treatment. Therefore, patients should always get a standing X-ray before getting an MRI to screen for knee pain in patients older than 40,” says Muyibat Adelani, MD, an orthopaedic surgeon with Washington University’s Department of Orthopedics and lead author of this study. Only half of those MRIs obtained prior to meeting with an orthopaedic surgeon actually contributed to a patient’s diagnosis and treatment for osteoarthritis. “Patients should always get weight bearing X-rays before getting an MRI because MRIs are not always needed to diagnose knee problems,” says Dr. Adelani. In cases where arthritis is suspected, weight-bearing X-rays often are more than enough for orthopaedists to complete the diagnosis and treatment plan. An appropriately timed consultation with an orthopaedic surgeon can be more cost effective than first obtaining MRI scans.